The market for natural resources remains subdued, but there are pockets of strength. For example, in the Uranium sector, Energy Fuels, IsoEnergy & Appia Energy are up an average of ~150% from their respective 52-week lows. In Copper, Trilogy Metals & Pacific Booker are up an average of ~250%. 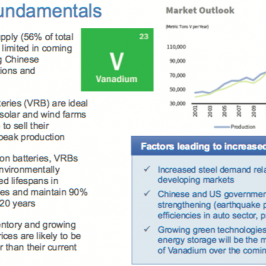 Good things are happening, green shoots, but not in Cobalt, at least not yet. How much revenue could the Refinery generate? At the Company’s base case of 1,000 tonnes/yr., at US$20/lb., that’s roughly US$44M = ~C$59M in revenue. Energy Fuels, an established uranium / vanadium producer, trades at 11.8x trailing 12-month revenue. 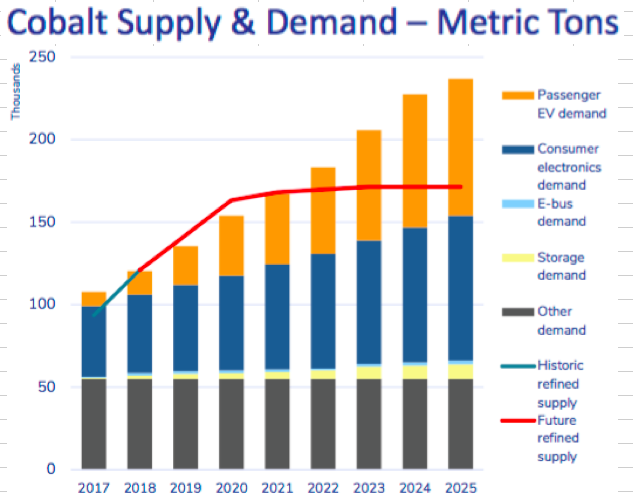 SQM, a large lithium producer, trades at 4.8x. 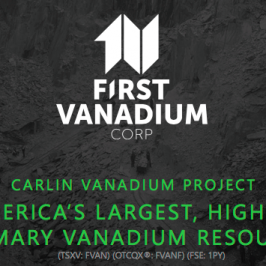 Bushveld Minerals, a vanadium player, trades at 6.2x, Katanga Mining, a Copper-Cobalt producer with operations in the DRC, trades at 6.4x. Those companies average ~7x trailing revenue. All have refineries or processing facilities. 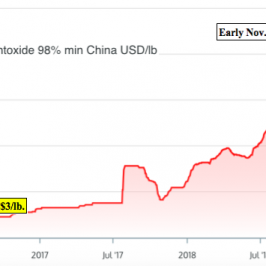 I’m not saying that First Cobalt will trade at 7x revenue. However, one can see the potential value of owned & operated hard assets. In the bare bones analysis above, I estimate what revenue the Refinery could generate operating 90% of the days in a year and 90% of the hours in a day. Combined, that’s 81% annual capacity utilization. 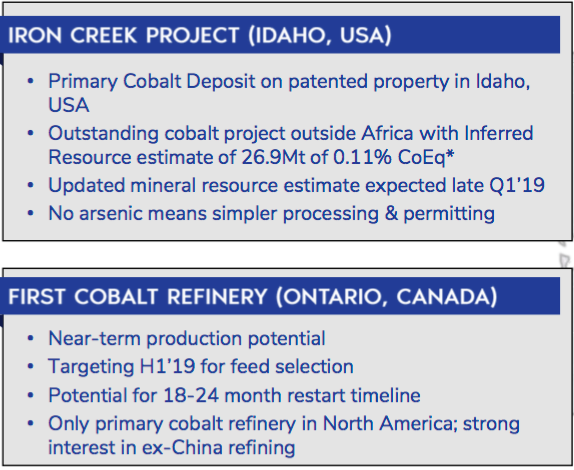 I assume a 28% Cobalt concentrate feedstock, and a 90% recovery of Cobalt. At a price of US$20/lb., annualized gross revenue would be ~C$117 M. At US$25/lb. it would be ~C$146 M, and at US$30/lb. 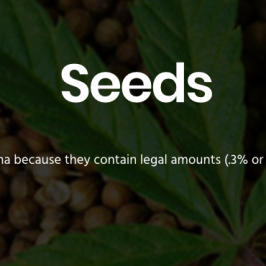 gross revenue would be ~C$175 M. Although US$30/lb. 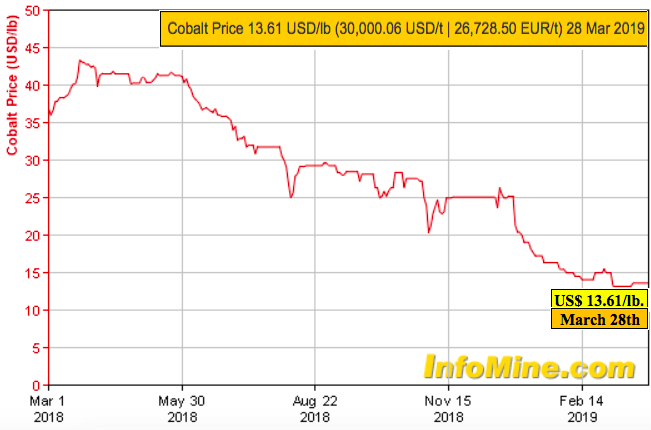 Cobalt seems high today, it might not be in 2 years. As mentioned, the price was > US$40/lb. less than 12 months ago. However, to be clear, there’s no guarantee of a meaningful rebound in price. Iron Creek remains open in all directions. That suggests the possibility of a much larger resource. If the Company could double the size, that would greatly enhance a PEA or PFS. 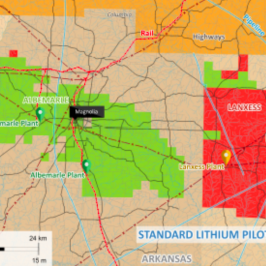 In addition, CEO Trent Mell has mentioned the potential contribution from Copper. He said that up to one third of Iron Creek’s revenue could come from Copper. 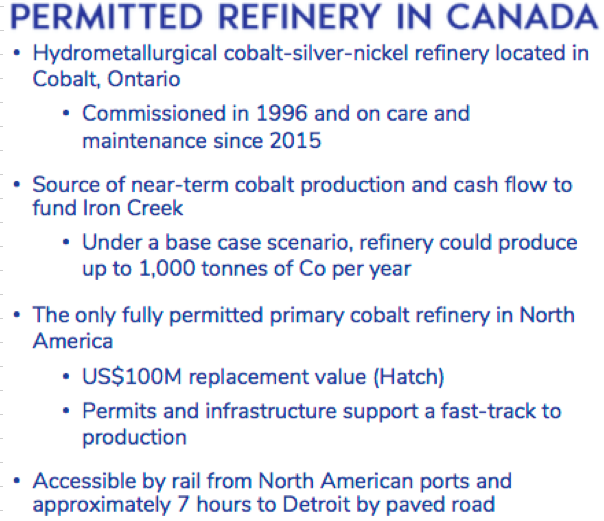 That would be a tremendous credit against the primary Cobalt production costs. I’m a big fan of Copper, the world can not have an energy revolution (clean/green renewable energy sources), or the electrification of passenger & commercial transportation, or the building & rebuilding of critical infrastructure, without Copper. Disclosures: The content of this article is for information only. Readers fully understand and agree that nothing contained herein, written by Peter Epstein of Epstein Research [ER], (together, [ER]) about First Cobalt Corp., including but not limited to, commentary, opinions, views, assumptions, reported facts, calculations, etc. is not to be considered implicit or explicit investment advice. Nothing co-ntained herein is a recommendation or solicitation to buy or sell any security. [ER] is not responsible under any circumstances for investment actions taken by the reader. [ER] has never been, and is not currently, a registered or licensed financial advisor or broker/dealer, investment advisor, stockbroker, trader, money manager, compliance or legal officer, and does not perform market making activities. [ER] is not directly employed by any company, group, organization, party or person. 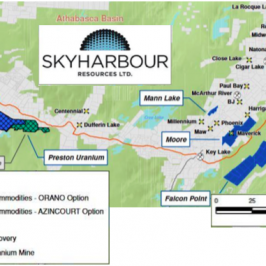 The shares of First Cobalt Corp. are highly speculative, not suitable for all investors. Readers understand and agree that investments in small cap stocks can result in a 100% loss of invested funds. It is assumed and agreed upon by readers that they will consult with their own licensed or registered financial advisors before making any investment decisions.